When mobile app teams think about growth, they usually think acquisition. Teams scramble to get as many users as quickly as possible. Retaining these users is more important than getting them in the first place. Nir Eyal, active angel investor and best-selling author of Hooked: How to Build Habit-Forming Products, believes that the most successful mobile apps are habit-forming. 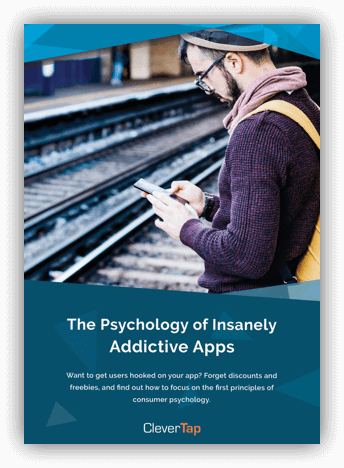 According to Eyal, we’ve got to make our apps habit-forming in order to stand a chance at retaining users, and we’ve got to do it fast. In this article, I share insights from a recent sit-down I had with Eyal where he laid out the core tenets of user retention. In an era where users demand more than a pretty interface, Eyal shares actionable tips for how to build habituality into apps from the get-go, engage users beyond triggers and notifications, and retain users when you don’t have a product that gets used on a daily basis. When it comes to building and promoting apps, Eyal reminds us that, as a community, we focus too much on growth. Thankfully, habit formation is easier than ever before. “The transmission of more data about us, at faster speeds, at greater accessibility has made everything much more habit-forming, which is a great opportunity for businesses,” says Eyal. Of course, there’s a lot of companies competing for that attention. There are many apps people use every day, and the big guys like Facebook, Slack, Instagram, and Spotify are used habitually by millions of people. “Once a habit is formed, the user is no longer considering whether they should open an app — they check the app every day, automatically, without thinking much about it,” says Eyal. Once a habit is formed, it’s almost impossible to drive users away. For example, Slack is an enterprise-facing company that frontline employees started using to chat with each other, outside of their organization’s official channels. These employees developed a habit of using Slack, got attached to it, and then management saw the benefit and implemented Slack on a greater scale. Unfortunately for those building mobile apps, there isn’t much time to hook users and create a habit. Eyal recommends identifying core habits — what users already do — then codifying that experience. You need to understand what users who stay actually do, as opposed to those who leave. For example, maybe users who add five friends in two days are more likely to continue to use an app than those who don’t, so it makes sense to encourage users to add friends as quickly as possible. When mobile app teams want users to engage with their apps, they often consider triggers and notifications as a surefire way to convince users to open the app and interact. According to Eyal, triggers and notifications can be used as tools, but they’re not a strategy in and of themselves. Although it may be tempting to use triggers and notifications as much as possible to create mobile app engagement, it’s essential to develop a strategy for how to use them. If you use these tools too much — and users aren’t getting value from your app — you’re likely to drive them away. 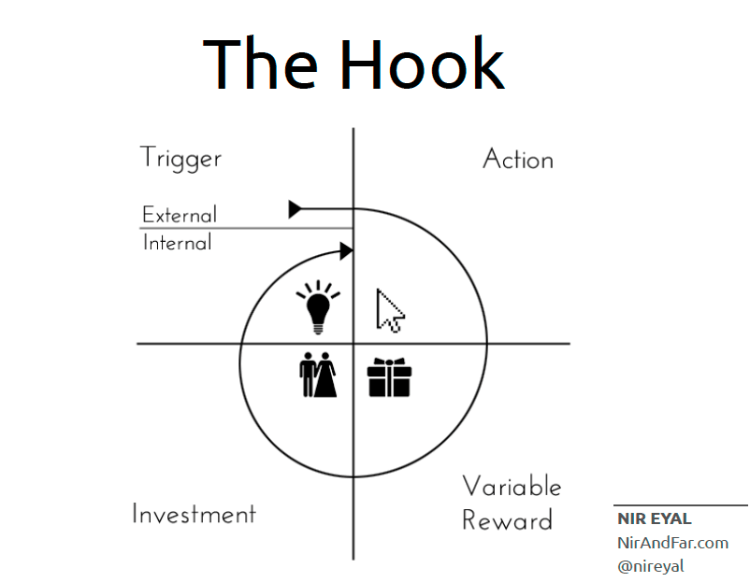 Nir Eyal has his own strategy for creating a “hook,” that is, the thing that hooks users into a mobile app. Trigger – A trigger is what makes someone want to complete an action within an app. Triggers can be external or internal. For example, a prompt for a credit card site reminding a user to pay their bill is an external trigger. An internal trigger is the feeling of loneliness or boredom that prompts someone to open the Facebook app. Action – People act in anticipation of a reward. For example, a user keeps scrolling because they know they’ll be presented with new information. You want to make sure user actions are as effortless as possible, and the reward is as immediate as possible. Reward – A reward is why the user interacts with your app at all. It stimulates the stress of desire. A reward system activates with anticipation and calms when a user gets what they want. Investment – Users “invest” for future benefits, such as money, personal data, social capital, time, and effort. Investments load the next trigger of the hook and are an open invitation for an external trigger to be returned. According to Eyal, great products have multiple hook “loops” to carry a user deeper into the habit. Basically, once a user is in your mobile app every day, they won’t leave you for the competition. Users will stop questioning whether you’re the best — they’ll just assume you are. If your app isn’t habit-forming, users will leave as soon as a better price or deal pops up elsewhere. Eyal is well aware that not every product will be used on a daily basis. After all, how often are people logging into the mobile app for their health insurance? “When it comes to insurance, people buy what they need, but then don’t interact for years,” reminds Eyal. But Eyal has a clever way of creating habits, no matter the product. He calls them his “two Cs”– content and community. By creating valuable content and offering a community, you can build habits around the overall experience with your company, rather than the product itself. Content – People can buy cooking supplies from a number of retailers, and it’s not a habit to go into a kitchen store every day. 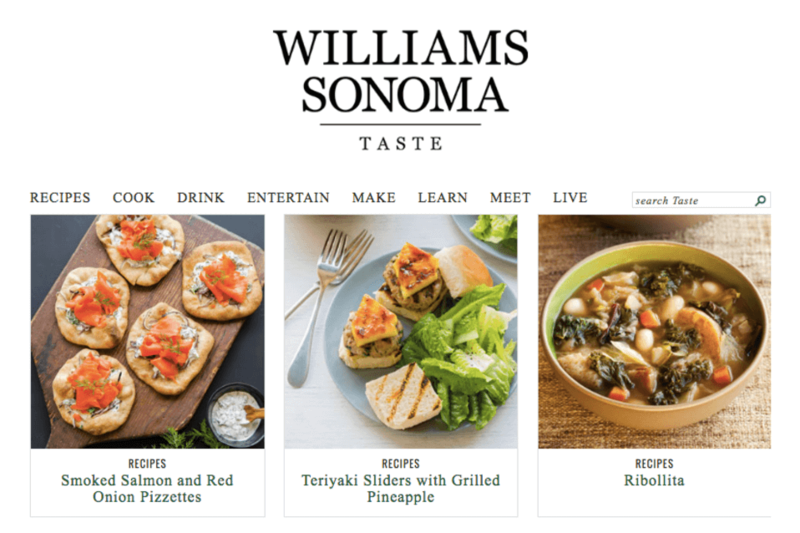 To create habitual use, Williams-Sonoma created Taste, a well-written and highly-produced food blog of the best culinary topics. They’ve hooked people — and created a habit — by getting users to interact with interesting content. Community – Christmas ornaments are used once a year, and buying them is certainly not a habit. 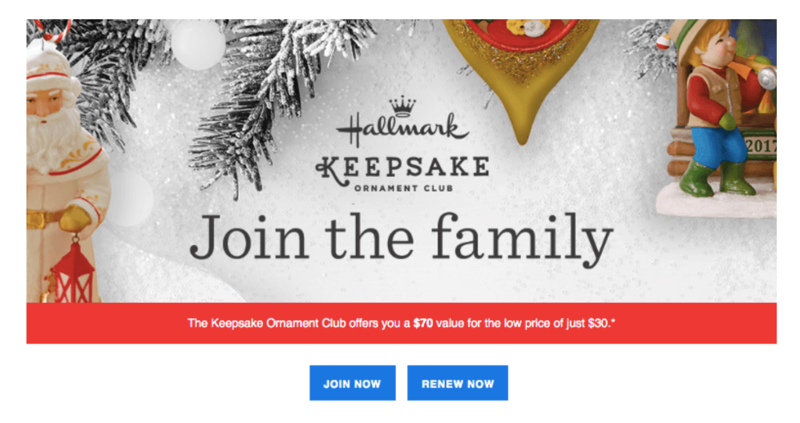 Yet Hallmark created a club for ornament collectors called the Hallmark Keepsake Ornament Club (KOC), which has grown to a community of 300,000 people. Customers line up in front of Hallmark stores year-round to buy new ornaments. People join this club not because of the ornaments, but because of the community. “Communities work because people want to feel loved and understood by others,” says Eyal. Some of the best product developers don’t think carefully enough about the psychology of the users they want to serve. “Companies mess this up all the time,” says Eyal. When it comes to building products that outlast their creators, it’s essential to bake in habit formation. When it comes to building and marketing mobile apps, there’s more than a lot to think about. However, if you just focus on how to obtain users, rather than how to retain them once they sign up, you’ll be facing an uphill battle that you’re unlikely to win. According to Nir Eyal, your best course of action is to build apps that form habits. These apps are ones that users turn to every day. No matter what, they can’t put them down. Nir Eyal is the bestselling author of Hooked: How to Build Habit-Forming Products and taught at the Stanford Graduate School of Business and Design School. He’s sold two technology companies since 2003 and now helps teams design more engaging products. As an active angel investor, Eyal backs habit-forming products that he believes improve lives. Some of his past investments include Eventbrite, Product Hunt, Refresh.io (acquired by LinkedIn), Worklife (acquired by Cisco), Marco Polo, Presence Learning, 7 Cups, Pana, Kahoot!, and Symphony Commerce.